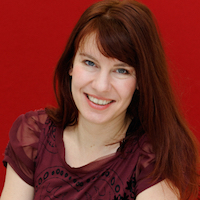 Inspiring memories to 2015 TEDxDelft speaker Kor van Velzen who passed away last week. 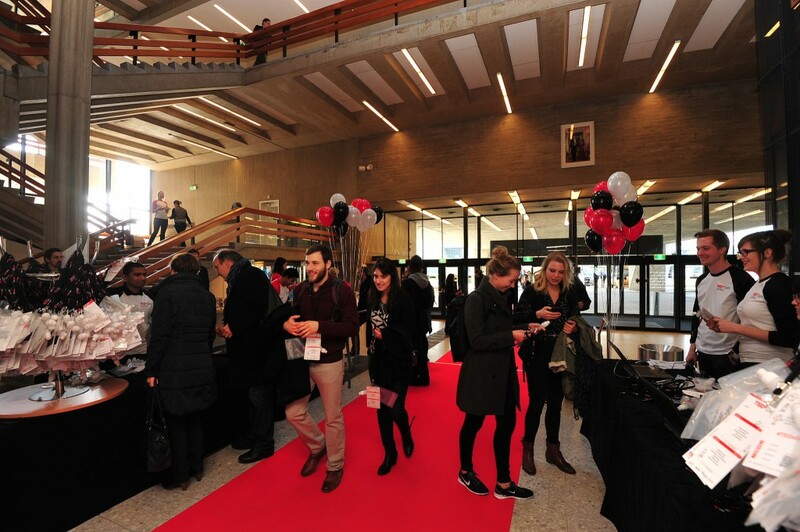 On Sunday, April 12, 2015, TEDxDelft organized its third Salon of the year at Theater de Veste, with “The Future” as its theme. During the event, speakers Hamdi Dibeklioğlu, Henriette Bier and Vincent Moleveld were invited to share their insights on technology and art, and how they bring people together. 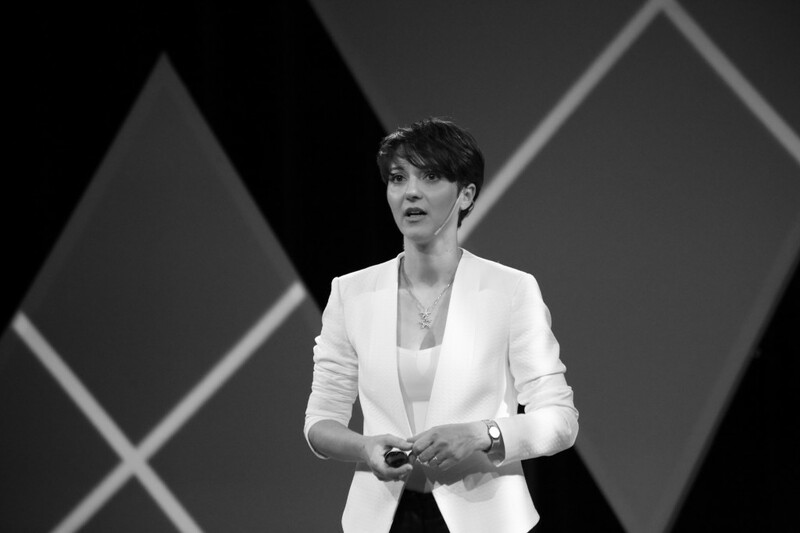 First to take the stage was TU Delft’s Hamdi Dibeklioğlu who discussed facial recognition and the development of algorithms capable of identifying expressions. 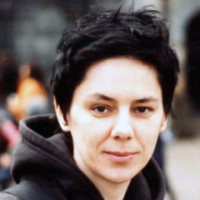 “Facial expressions convey emotions, a state-of-mind,” Dibeklioğlu explains. “Recognizing them means understanding them.” By using set points on the face, such as eyes and corners of the mouth, an algorithm could then determine the facial expression being made. Dibeklioğlu went on to demonstrate how this technology also worked on pieces of art, such as a selfportait of Rembrandt van Rijn and Leonardo da Vinci’s Mona Lisa. Whereas the facial expression of Rembrandt van Rijn’s painting was clear, the Mona Lisa‘s was less obvious because of a concept called dynamic behaviour. The eyes in the painting would convey a different emotion than the mouth. By having the algorithm take these nuances into account, it would be possible to distinguish between someone posing with a certain expression or showing genuine emotion. Dibeklioğlu argued that these algorithms could offer various new applications and could even help diagnose psychological disorders. TU Delft’s Henriette Bier was up next, discussing how robots would become increasingly involved in the every phase of construction. “In the future, robotic systems are going to be integrated into buildings and building processes,” Bier claims. Design would change from two-dimensional to three-dimensional, with user feedback loops throughout the process. After an intermezzo, during which choreographer and animator David Middendorp fused dance with digital animations, Online Gallerij founder Vincent Moleveld was the final speaker to address the audience. “Artists hate selling themselves, becoming a commercial artist, which they consider to be a curse word,” Moleveld says. While galleries will put art pieces on display, he argues that there is still a gap between the artist and the public. “Art can be something scary to understand,” he claims. “A piece of art can be difficult for people to understand, or galleries can appear uninviting.” The art market has always been conservative and the pieces that are being sold are done so to be conserved. Though contradictory at times, art and technology have come together in various ways and continue to do so today. Whether it is by using art to help develop algorithms or sharing art to a broader audience via the Internet and social media, these two fields are linked in so many different ways. Technology continues to evolve to the point where machines can create objects themselves. Maybe, one day soon the time will come when a robot will be able to create a painting on its own. 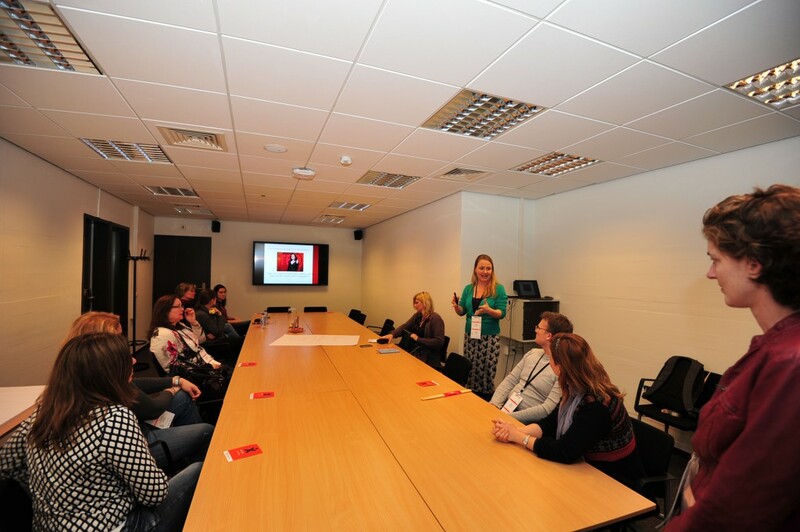 On May 29, 2015, TEDxDelft will be hosting its first ever TEDxDelft women’s event at the Rietveld Theather. If you are interested in participating in this unique conversation, we invite you to join us during this event. Keep an eye on the TEDxDelft website for more information. 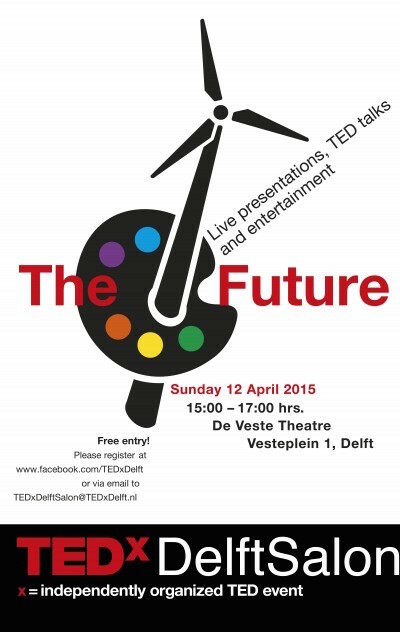 This Sunday, TEDxDelft is hosting its next Salon at Theatre de Veste from 15:00 until 17:00. With “The Future” as its main theme, the event will focus on art and technology, touching up relevant topics such as robotic building, the art world, and human-machine interaction. Special guests include TU Delft’s Henriette Bier and Hamdi Dibeklioğlu, and Online Galerij founder Vincent Moleveld. These three speakers will be share their insights on robotic environments and building processes, how the art world should start to embrace the digital age, and on the possibilities that machines with facial expression recognition technology have to offer. The TEDxDelft salon will be held in English and is open to everyone. So come join us. Share in the knowledge and tell us about about your idea worth spreading! 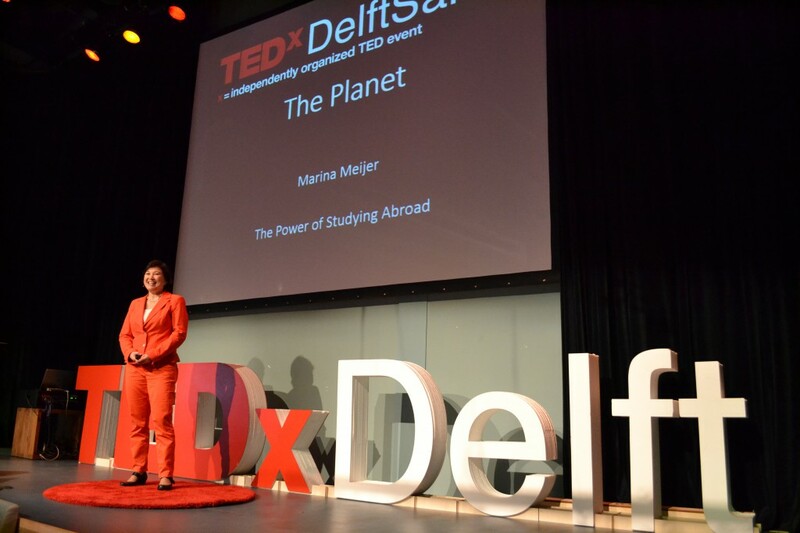 On May 29, 2015, TEDxDelft will also be hosting its first Women’s event. Keep an eye on the TEDxDelft website for more information. 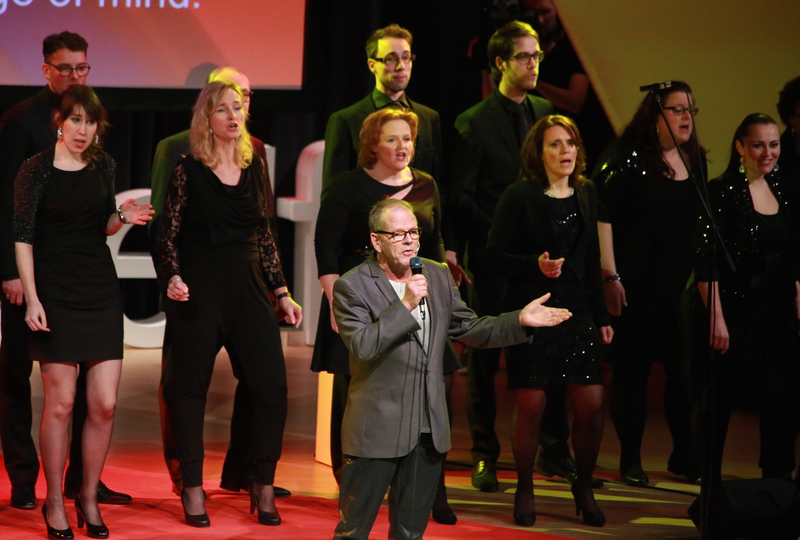 In celebration of International Women’s Day TEDxDelft organized its second salon of 2015 at Theatre de Veste on March 8. The main theme for this salon was “The Planet” -more specifically how various elements on Earth are connected. For this event, three special guests, each at the top of their respective field, were invited to share their views. The topics touched upon hacking nature, education, and energy and ethics. 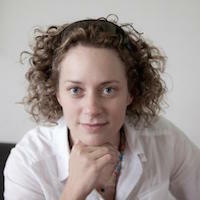 The first speaker was Stephanie Whener, a former computer hacker who was employed by a company to test the security of their IT systems. “When you are thinking about hacking, you think about hacking computer networks,” Whener explained. But there are other networks that interact and share information, made up of particles, atoms, and electrons. “I believe information is the key to understand nature,” Whener says. These particles do not follow the same laws that apply to bigger objects, but those of quantum mechanics that cannot be experienced in our daily lives. The main obstacle so far has been Heisenberg’s uncertainty principle, which states that there is a limit to the amount of information that can be stored. With the tools available nowadays, she is convinced our understanding of these networks of particles will get better, and as a result, our understanding of nature. After a musical interlude by singer-songwriter Linda Kreuzen, Rafaela Hillerbrand took to the stage and discussed what has been perceived as a conflict between energy and ethics. The current debate focuses on the question of well-being versus sustainability, but Hillerbrand believes this is not the main dilemma. “What is well-being?” she asks. “Is it preserving a landscape, or using energy to power a hospital?” This sense of freedom of choice also applies to different forms of energy. “It is not as simple as saying wind energy is good and nuclear energy is bad,” she argues. Dams, when damaged, can destroy the surrounding landscape. Someone who buys an SUV may do so because his or her children have disabilities, and only an SUV can provide an adequate means of transport. People have their reasons for the choices they make regarding energy consumption. It is often because these choices are not fully understood, however that creates the debate between what is perceived as good or bad energy. It is by simplifying our definitions of well-being and sustainability, Hillerbrand says, that it will be possible to bridge the gap between ethics and energy. Whether it is the interaction among particles or people, or how well-being and sustainability are two sides of the same coin, today’s talks have illustrated that things on this planet are more connected than previously thought. Only by exploring these links, and redefining what we know, has this allowed for more appreciation of what binds everything together. We also invite you to join us on May 29 for the TEDxDelft Women’s event, which will be held at the Rietveld. Keep an eye on the TEDxDelft website for more information on these upcoming events. In celebration of International Women’s Day, TEDxDelft is hosting its second Salon at Theatre de Veste, from 15:00-17:00. With “The Planet” as its main theme, the event explores how globalisation changes our perspective of the world we live in, particularly in terms of education, energy and private property. Special guests include TU Delft’s Rafaela Hillerbrand and Stephanie Wehner and UStudy Director Marina Meijer. These three women, who are at the top of there respective fields, are invited to share their thoughts on the power of studying abroad, the ethics of our relentless demand for energy, and what it’s like to be a real-life hacker. The TEDxDelft Salon is held in English and is open to everyone. So come join us. Share in the knowledge and tell us about your idea worth spreading! 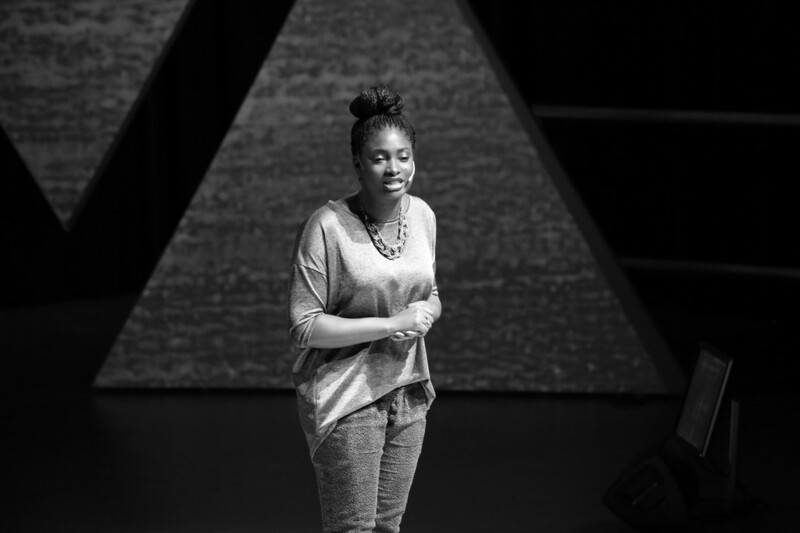 TEDxDelft 2015 | THANKS FOR COMING! | Now, Go and Make Things Beta! Even the train disruptions to make way for the new Delft Central Station did not put off the thousand curious people who flocked to the TU Delft Aula Congress Center to attend TEDxDelft 2015. The spirit of “making things beta” was clearly expressed in today’s talks, which featured an impressive line-up of speakers and performers. Everyone in the audience would agree that TEDxDelft 2015 was truly a platform for ideas worth spreading. Therefore, we would like to express our deepest gratitude to all the speakers and performers, whose excellence in their respective fields captured our imagination, sparked interesting conversations and inspired us to follow our hearts. Moreover, this event would not be possible without the dedicated efforts of the TEDxDelft team and its volunteers. Finally, a big thank you to all the members of audience. 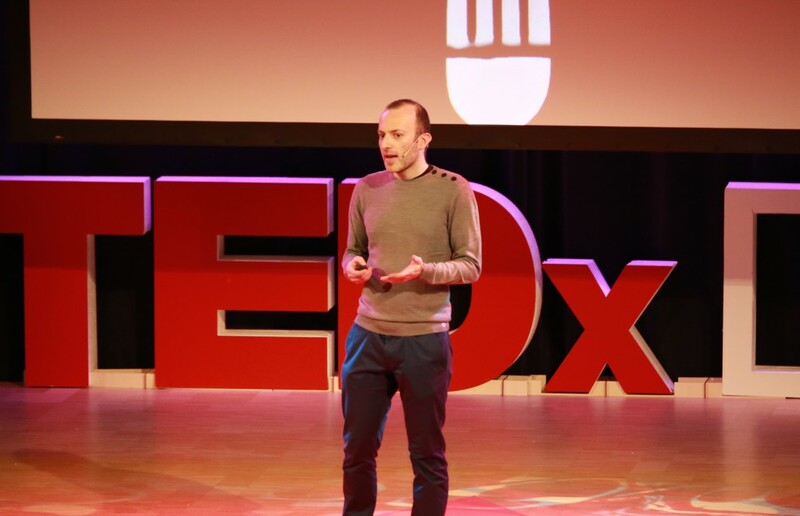 As Rob Speekenbrink, Licensee of TEDxDelft says, “Do what you want to do with the inspirations from this event,” and hopefully, you too will have ideas worth spreading. 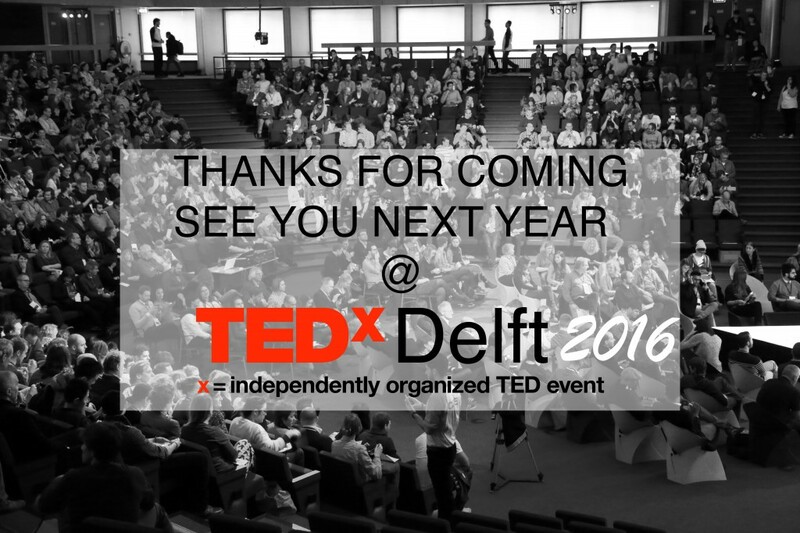 See you next year at TEDxDelft 2016! 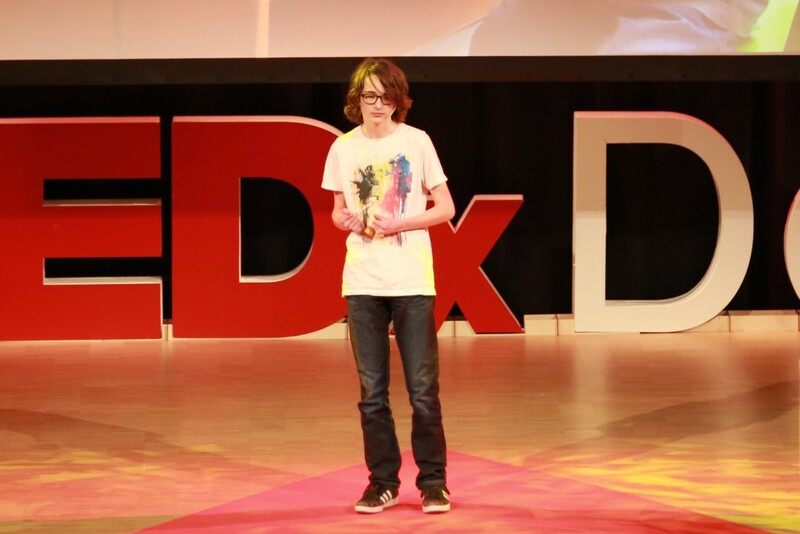 https://www.tedxdelft.nl/wp-content/uploads/2016/02/TEDxDelftLogoWebsite.jpg 0 0 Phillip Gangan https://www.tedxdelft.nl/wp-content/uploads/2016/02/TEDxDelftLogoWebsite.jpg Phillip Gangan2015-02-27 22:22:522015-05-29 20:58:14TEDxDelft 2015 | THANKS FOR COMING! | Now, Go and Make Things Beta! Using technology for the greater good of mankind is what Alec Momont stands by. Having graduated as a product designer from TU Delft, Momont’s project became viral across the globe. For his final project, Momont designed a defibrillator-fitted ambulance drone, capable of saving lives. His invention opened a new door in emergency response and succeeded in showing the world his vision of using drones for a valuable purpose. 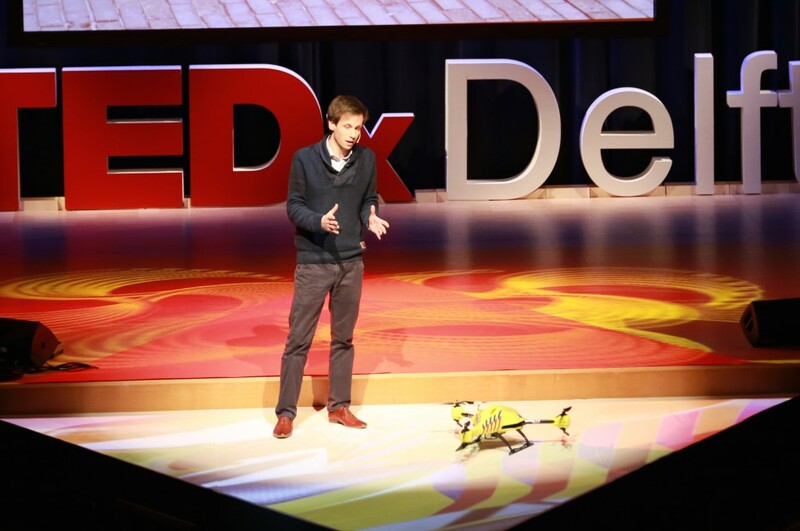 Explaining his concept on TEDxDelft stage, Momont demonstrate how his ambulance drone works. “This is a new way for emergency response based on a decentralized network. An idea that can increase the survival rate,” explains Momont. Drawing lessons from one of his friends who had a cardiac arrest, Momont ascertained the timely need for medical attention during such situations. His defibrillator-fitted ambulance drone can help mitigate the delay in supply of medical equipment to emergency locations by decreasing the response time. “While working on this project, I had a knee surgery. However the commitment to achieve my mission towards saving lives kept me driven,” Momont says. Be that as it may, patenting his idea was not right according to Momont. “What I wanted to do is to create an actual impact,” Momont claims, “an idea worth as much as implementation, create more of these products with experiences that have an actual impact in life.” His motivation is to have a vision or an idea and to recognize the need to take it to the next step. But is not just the ingredients that can be used in creative ways. Common household items like perfume bottles can be used to hold garnishing or using a watering can to distribute sauce. Also, the reverse is also possible. “Using the skin to wrap around a basic cone frame, all you need is to add a light bulb and you have created a lamp,” Verbeek explains, as he demonstrates how exactly this can be done. Another of his creative projects was handed to him by a famous Dutch designer, who asked him to create a haute couture dress out of vegetable materials. Verbeek was asked to think of a complementary dish that would pair well with the dress. Using the dress as the basis for his creation, he came up with a small snack that incorporated some of the garment’s design elements. In this case, a flower to decorate the snack. “To conclude, I want to use something we usually start our meals with: bread and butter,” Verbeek says. “I call it Campfire.” Using truffle butter and combining it with rye and cress, the basis or, to be more precise, the ground has been prepared. The bread, by placing it in a certain way reminds of a stack of logs. All it needs is some sugar that crackles, set it alight, and there you have it: a campfire on a plate. Preceded by a few technical talks, Delft Brass, a group of enthusiastic and musical individuals from Delft, immediately transformed the TU Delft Aula Congress Center by performing a musical medley, which instilled energy and enthusiasm in the audience. Beginning with a few mild notes on the trumpet, the music took off as the ensemble swung into higher pitches, creating synergy through brass. The ensemble came together when a tuba player and TEDxDelft Volunteer Coordinator Brenda Hooiveld and her musically inclined friends decided to form a group that appreciates brass-based instruments. The group delivered three pieces in an eight minute period, based on TEDxDelft 2015’s theme, “Let’s make things beta”. “It does not matter how we play, but it matters how we play with enthusiasm and passion,” Hooiveld says. 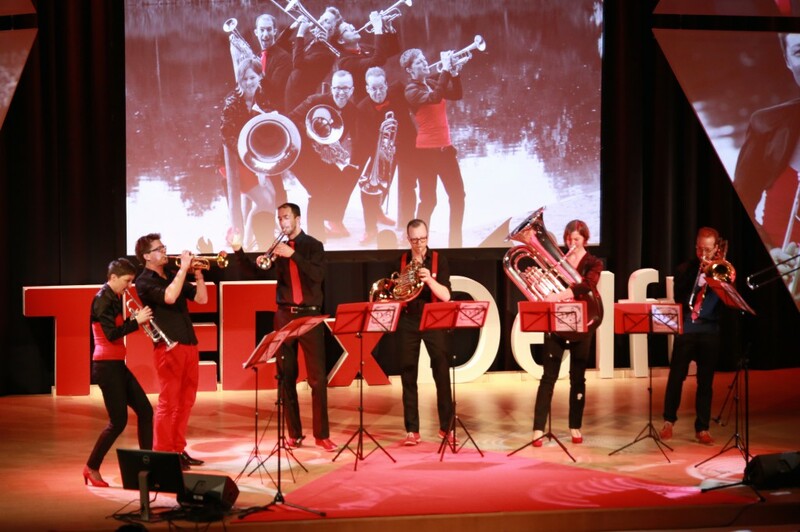 Showcasing their musical talent and creating harmony through brass instruments, Delft Brass kindled all the zeal and zest through their music at TEDxDelft 2015. “Nano materials and nano structures exist everywhere in our world,” says TU Delft Materials Engineer Shou-En Zhu. Graphine, a nano-structure, has many different usages. For instance, imagine a world where you would be able to desalinate water with a tool that can fit in your pocket or windows that can produce power because of it’s conductivity and clarity. Imagine all electronic devices fully charged in 10 minutes or electronic devices embedded in clothing and electronic chips one thousand times faster than current technology can produce. This is only a part of what graphene is capable of doing. Graphene was first discovered in 2004 by two physicists who took scotch tape to a block of graphite and slowly pealed off the individual layers. With a lot of patience, these physicists were able to produce graphene a nano-structure stronger than a diamond and more conductive than copper. However, this was only on a very small scale, and with one problem: the materials produced were mostly black, whereas graphene should be clear. When Zhu pursued his Bachelor’s degree, he became acquainted with this new material and its potential. 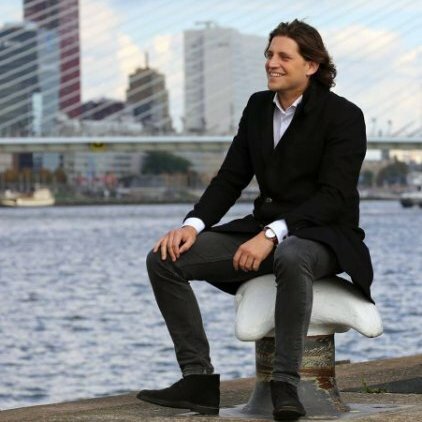 Now, working on a PhD in Graphene Research at TU Delft and with the understanding that there is a lack of development with this material, he set out on a new venture, designing and constructing a machine that can produce graphene from scratch on a much smaller budget. With endless hours of work, building and testing his home-built equipment, Zhu successfully produced graphene on cheaper and larger scale. Currently, in order to produce this game-changing material, it requires large and expensive equipment. The materials engineer was able to design graphene production equipment for 20,000 euros, seven times less than what the current equipment costs. 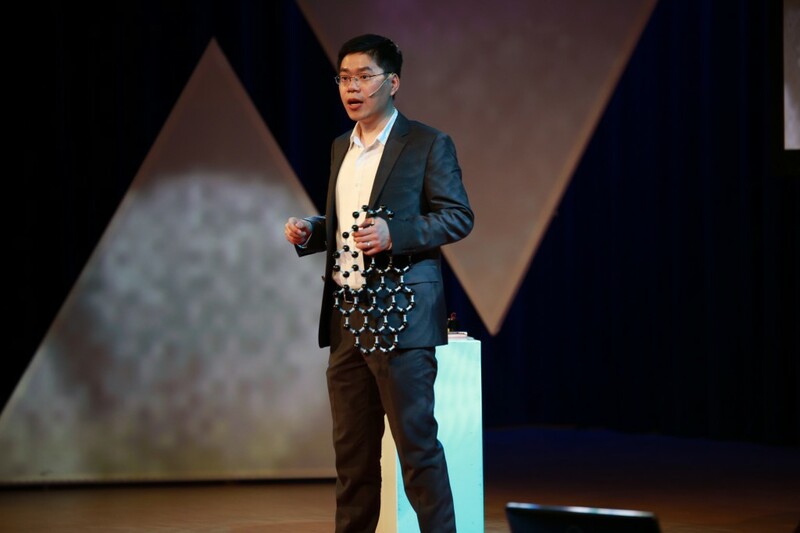 When asked about his motivation for pursuing such an endeavor, Zhu claims that he wants to do something new that can benefit society and believes that Graphene can change the world and do just that. 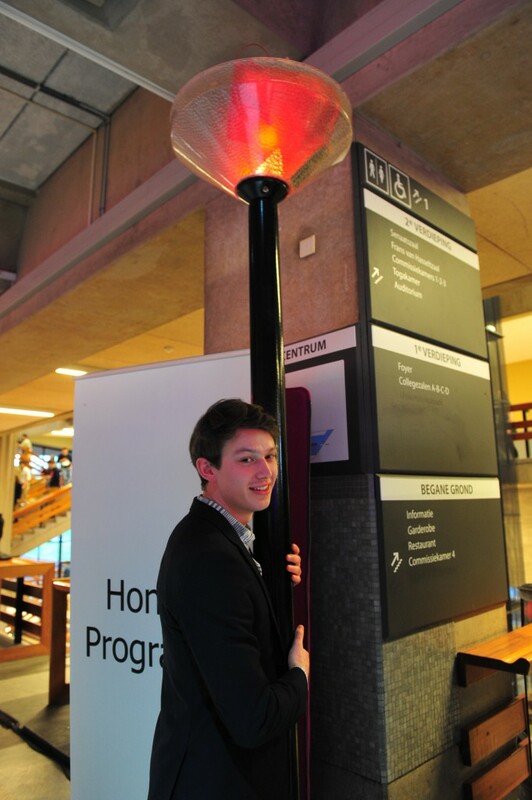 One of the side events at TEDxDelft is Street Light Evolution featuring the so-called ‘Blushing lamp’.“It’s all about focussing attention on everyday objects and the engineers that made them,” says Project leader Koen Fraijman, who is also an Industrial Design student at TU Delft. Which is why he and a group of eleven other students worked for three months on Street Light Evolution, a collaborative project putting the spotlight, as it were, on the streetlight. Fraijman and his team created a display at the Amsterdam Light Festival, featuring six street lamps from different eras, arranged like flowers in a bouquet. “Each light represented a different technology,” says Fraijman. “The oldest was a replica of the Jan van der Heyden lamp from 1663, which was made of wood and used oil.” The other streetlights in the display represented designs of gas, charcoal, sodium, PLTL and the most recent, LED lamps. The team then converted all the streetlights to LED and used a computer to programme what Fraijman refers to as a “twinkling display”. And the blushing lamp? Apparently if you stroke it, it tuns red. Like most of us, when you focus your attention on it, it blushes. “Welcome to math class,” were the words of the mathematician Gerardo Soto y Koelemeijer, as he made his poetic walk across the TEDxDelft stage. After all, the next 540 seconds on the stage were indeed his’. Working as a Math teacher at a secondary school in Haarlem, Soto y Koelemeijer completed his PhD in Mathematical Systems Theory from TU Delft. Later, as he found a proclivity towards literature and culture, he graduated in Languages ​​and Cultures of Latin America at the University of Leiden. He has also has two novels to his name. Given the multifaceted person that he is, Soto y Koelemeijer, with reference to some famous theories of the past, sheds light on the complexity that math projects projected to most individuals, including the great mathematicians. He says, “Imaginary numbers are mental tortures. Too many students do not follow math due to its complexity. I like to read math and imagine stories on it. After all, math has been an important element of human culture for thousands of years.” With his expertise in such diverse fields, Soto y Koelemeijer relates the various elements of math to culture and literature, and how they complement one another. He focusses on modifying the way math is taught, inclining it more towards creativity. “In my lectures I tell stories, instead of explaining theorems and proofs as such. Without stories, I feel, some important parts are left out and become unaddressed.” All the more reason why he feels that math and culture are two ends of the same twine. “When I was a boy, I was sure I wanted to be an actor. And I wanted to be a writer, a painter, or a famous singer, ” says Kor van Velzen. But then the Sixties came and along and with it, Saints Paul, John, George, and Ringo. A priest cannot be rebellious and so van Velzen embraced the change that had become apparent in society. Since his days as a priest, Van Velzen has worn many other hats: artist, advisor and songwriter. In fact, creativity is no stranger to the Van Velzen household, as he is the father of well known Dutch singer-songwriter Roel van Velzen. Having left the seminary, Van Velzen enrolled at Art School and afterwards, became an illustrator for an advertising agency. But drawing up soup cans and happy families was not all he wanted. It was the creative process behind it that appealed to him. So he became a copy writer and later a Creative Director of the agency, until van Velzen realised that it was not what he had hoped it would be. 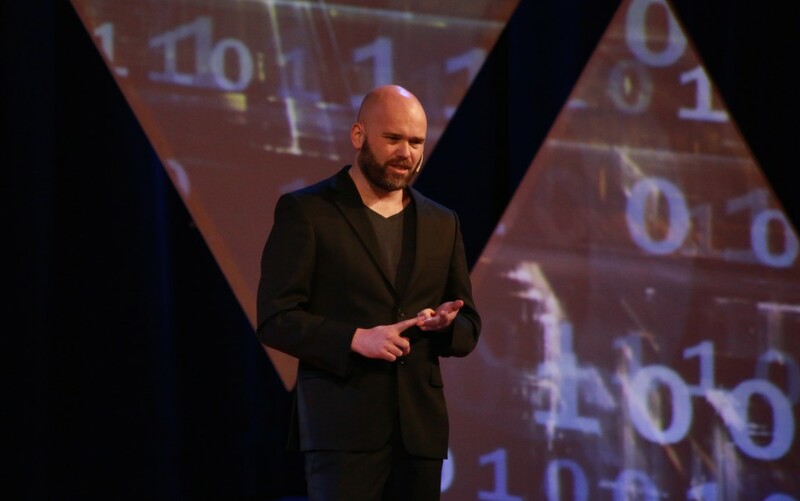 “I was slowly betraying myself for the sake of king client,” van Velzen explains. If you’re already getting withdrawal symptoms at the thought of waiting another year for the next TEDxDelft event, don’t panic! There’s another one coming in just three months. “Feminism has come and gone. Women are finally treated equally, earn the same salaries and get the same opportunities as their male colleagues, and basically, can have it all.” Right? Wrong! Somehow things are not quite there yet and that’s reason enough for the first TEDxDelft Women’s event to be held this May 29, 2015. 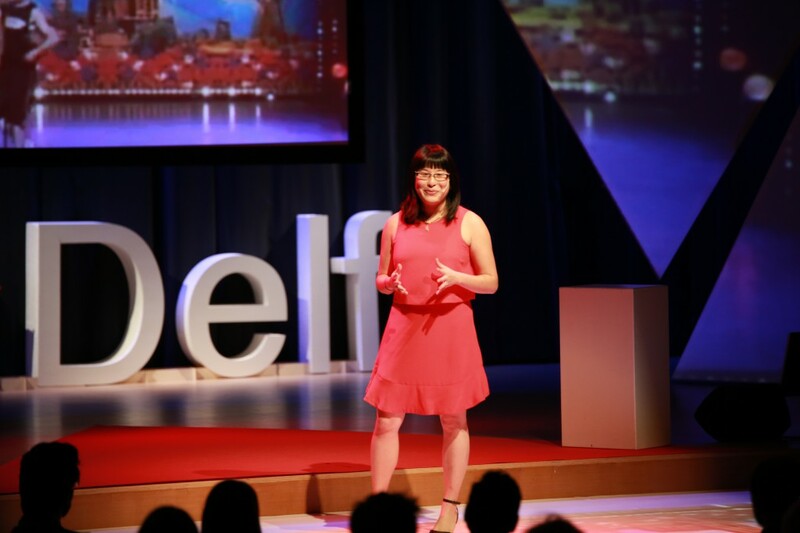 “The idea of running a separate TEDxDelft Women event came out of the first women’s circle that we started in Delft last July,” says Manuela Damant, co-founder of the event. “The aim of the circle was to bring together a bunch of awesome women to inspire and support each other, both at work and at home.” This type of mutual support system helps women to feel more confidant in trying to achieve their specific goals. Right here and now at TEDxDelft 2015, in each of the three breaks, there are women’s workshops. Here people – of both sexes – can discuss such things such as why they think there are still too few women in top positions, what needs to be done to increase those numbers, and how each person can help. The theme of this year’s event is authenticity and the team is currently working to organize the venue and the list of speakers. They are also looking for volunteers, so anyone interested can write to molly@tedxdelft.nl. The event will be ticketed, but it will be held in English and is open to everyone. So join us for the first TEDxDelft Women on May 29, 2015. “There is a huge gap between why people think they behave the way they do and the actual reasons,” says Roland Dietvorst. At the NeuroLabs research facility in the Netherlands, neuroscientist Dietvorst and his team use neuroscientific methods and models to search for new and better ways to comprehend human behaviour. “We use EEC to monitor fast neural responses in the brain,” he explains. “When asked after the fact, people come with all kinds of post-rationalizations, but it is very difficult to account for, let alone predict our own behaviour,” says Dietvorst. The majority of the audience indicated they would give less money to a charity if the person collecting was wearing a shirt with an expensive logo. A study showed that, in fact, people donated twice as much. “Our subconscious mind reacts to the expensive logo and we start to show compliant behaviour,” explains Dietvorst. It is the reward centre of our brain that rules a lot of our behaviour. “That is an ancient part of our brain if we look at evolution. It competes with the new part to determine behavior, and what happens in that old part of our brain, happens outside of our consciousness.” Dietvorst has even more amusing examples. “Would you prefer fifty euros now or eighty euros in three months time?,” he asks the audience. Research shows that men shown photos of beautiful women, want instant gratification and would therefore always choose to receive the fifty euros now. It’s the ancient brain talking. “Welcoming newcomers isn’t enough. We need to become newcomers ourselves.” This is what Suzanne Ma wants to impart. Born and raised in Canada, the Chinese-Canadian journalist recently published a book entitled, “Meet me in Venice”, in which she chronicles the life of Chinese ‘newcomers’ in Europe. Ma is well known nationally in Netherlands for her strong stand against Dutch society’s prevalent acceptance of racism. Her opinion in the Dutch newspaper ‘De Volkskrant’ sparked a heated national debate. Referring to the racial comment made by a Dutch celebrity in a popular television show, Ma loudly protested. “This [incident] spelt two big problems. One: lack of empathy. Two: widespread complacency.” She then came up with what might be a solution. “To feel like an outsider has taught me the importance of welcoming [newcomers]”. Ma took a huge step by quitting her comfortable job in Manhattan to move to the countryside in eastern China. She believes that by becoming a newcomer herself, the grueling hardship would help her acquire new eyes and appreciate her life more. Now, she has taken this idea to a whole new level. For the last five years, Ma’s research into Chinese newcomers in the midst of European migration has given way to her becoming a newcomer herself. In retrospect, when she compared her own experience to her Chinese counterparts, an unintelligible dialect and being constant “ripped-offed” by the locals were obstacles she faced, even though she herself was Chinese. Being born in a musical family, it is no wonder that Hilda Ruijs started playing musical instruments at a young age. Her musical skills range from playing the violin, guitar and piano, to singing classical music and composing her own songs. Today, the BN DeStem Culture Award finalist was invited to showcase her composition during TEDxDelft 2015. “The music I played just now was composed for a friend of mine to show that so-called ghost -feelings either negative or positive, but purest in its form- may come and go. It is up to you how you take them,” Ruijs says. Some would describe her beautiful piece as enigmatic and cryptic to listen to. Although she is a music lover, Ruijs also uses her creativity in another spectrum: the sciences. ”Music is math isn’t it?” This a testament to her fondness towards both. 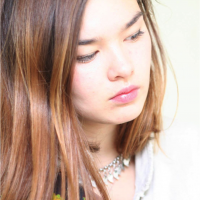 Today, she uses her creativity in the field of Industrial Design Engineering, as a student at TU Delft. There, she is managing well to combine her technical workload with aspirations in her field of creativity. One day, she hopes that she will be able to express herself in both science and her music. 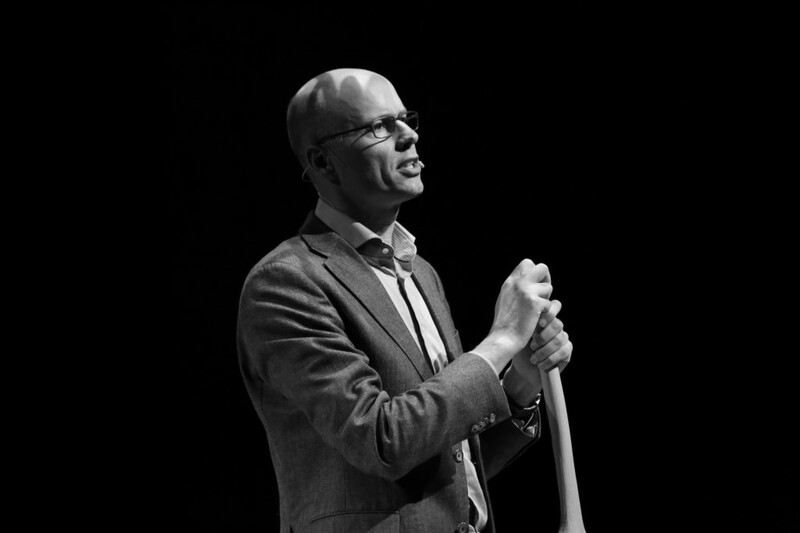 https://www.tedxdelft.nl/wp-content/uploads/2016/02/TEDxDelftLogoWebsite.jpg 0 0 Hardi Njo https://www.tedxdelft.nl/wp-content/uploads/2016/02/TEDxDelftLogoWebsite.jpg Hardi Njo2015-02-27 17:22:052015-02-27 17:22:05TEDxDelft 2015 | Hilda Ruijs | "Ghost"
I really like you. Please do not tell our classmates. The following day, Jojanneke van den Bosch’s mother died of lung cancer. Her father passed away five months before. She and her sister were unable to find a foster family because her sister was 18 years old. Fighting for their home because they were not on the lease, they had to sell nearly all of their belongings. It was as if they were walking a tightrope and hoping to make it to the other side without falling off. In deciding to move to a new location and to start anew, she moved to Delft. There, she went to a new school and made new friends. Interestingly enough, one of her newly-made friends invited Jojanneke over to her house. When her friend’s family dropped her off home, they saw her living conditions and decided to help. This family that was right there, taught her three important things in philanthropy, especially for orphans living in the Western World. They noticed her and her struggles, and revealed what was being hidden so well. They helped her facilitate a short-term solution and empowered her and showed her how to do things for herself wisely. They were her cheerleaders. “Are you the one watching the orphan walk the tightrope way up high, or are on the ground holding the safety net?” Van den Bosch asks. We all can make the lives of those easier by simply just doing these three things. Mileha had an uncle who used to always have games for the children. She remembers that “used to be there, jumping around with us kids, making us have the time of our lives…but then I saw healthy and hardy person deteriorate. He was diagnosed with Parkinson’s.” Parkinson’s is a disease that causes degeneration of the nervous system that makes a once-independent person start to find every-day tasks (like drinking coffee and walking) more difficult. Her uncle, who used to be the center of attention, was soon hiding behind people. 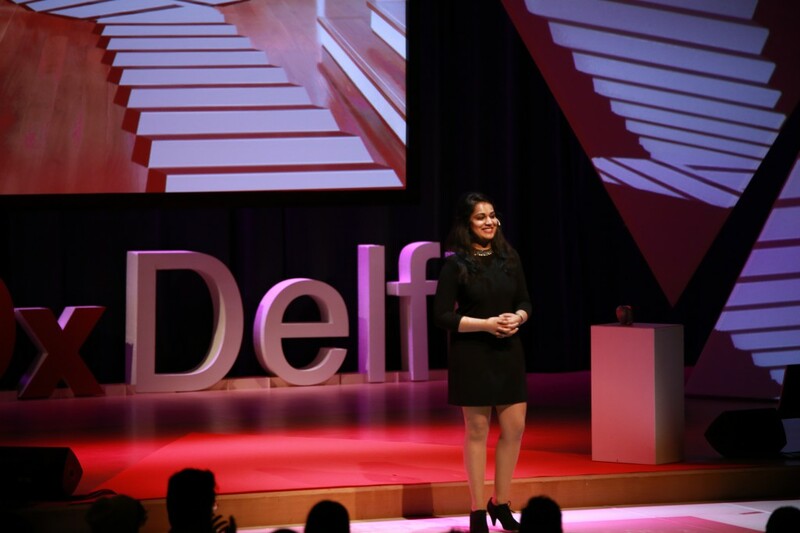 Mileha, a product designer, Masters Student at TU Delft and winner of this year’s TEDxDelft award, decided she wanted to help her uncle. Her goal was not to cure Parkinson’s, but instead to make the everyday tasks of those living with Parkinson’s much easier. She first looked at helping her uncle with his tremors and drinking. She designed a no-spill cup to aid in this process. One day, she questioned how her uncle walked up and down the stairs. Surprisingly, he was able to do this without any problem, but as soon as he stopped, he had trouble walking again. She decided to apply a “staircase illusion” to the floor by having the illusion of a staircase flowing throughout her uncle’s house. To her surprise, this simple solution was able to help her uncle move around the house faster and easier. Still working on her goal of helping those with Parkinson’s live easier lives, she advocates the idea of “a humand-centered solution.” Technology might not always be the immediate answer, but perhaps a small, simple solutions can have a large impact. TEDxDelft is sponsored and catered by the huge French company Sodexo. The theme this year is food without waste. One of the great challenges of working in an international setting is getting the food right. People have many different tastes and cultural backgrounds, so doing the catering is already quite demanding, even without additional preferences like vegetarianism and veganism. Still, Sodexo is well used to what they call ‘Worldwide Food’. Sales assistant Cinderella Wielrink says, “We cater for the whole of Technical University here in Delft. 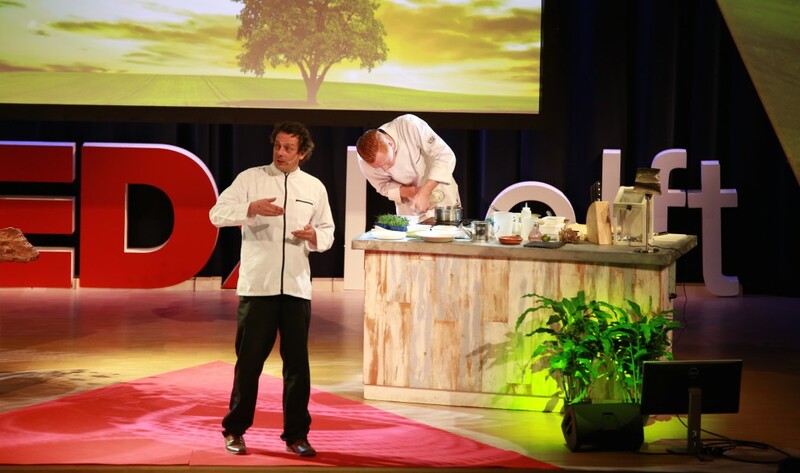 And using questionnaires, we ask our students, including the internationals, what they want and how they would change the menus.”At TEDxDelft 2015, Sodexo is bringing locally sourced, sustainable dishes to the audience. On the menu today is a lot of waste-free vegetarian food: bowls of red vegetables; bread rolls with mixed vegetables; maize and pumpkin soup; spinach and white cheese tarts; and for the Dutch clientele, Boerenkool met smoked sausage. That’s curly kale and mashed potato to you and me. “We closely work with schools, hospitals and universities to make our food healthy and unique,” Wielrink explains” In fact, Sodexo is known for offer catering services to the most remote locations in the world, proving that they’re always up to the task. So today as you enter the TEDxDelft event, you’re struck straightaway by an eerie noise emanating from behind a set of black velvet curtains. Welcome to Nick Verstand’s art installation. Go behind the curtain and you see a large globe, apparently floating in space with beautiful colours, flowing across the surface in waves. 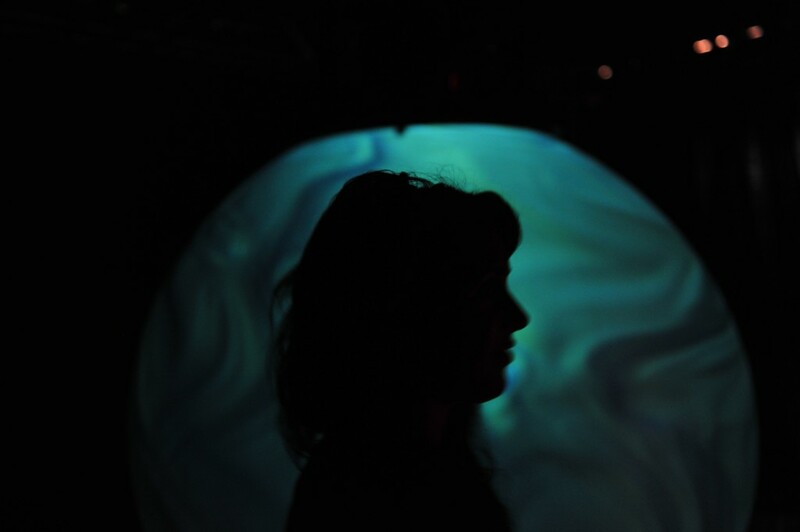 As people move around the room, the patterns and colours change, interpreting people’s behaviour into fluid images. In the words of its creator, this is “Imagination made real using technology”. Another Microsoft stand is a display of tablets lit up with words like Music or Biotechnology. As a visitor, you can take down the tablet showing the word that speaks most to your heart or head, attach it to a big red heart or a head and then hold it in front of you, while you take a selfie using selfie stick. And throughout the day, all these will be uploaded on to the TEDxDelft Facebook site. Creator Micah Kessels explains that this reveals an extra dimension of who you are. “My two-year old son is the best tester in the world. He drops stuff on the floor, throws it against the wall and he watches what happens,” Andy Zaidman says. Though it might seem like a playful attitude, it is the thought behind it that counts and what he feels has been largely lost nowadays. 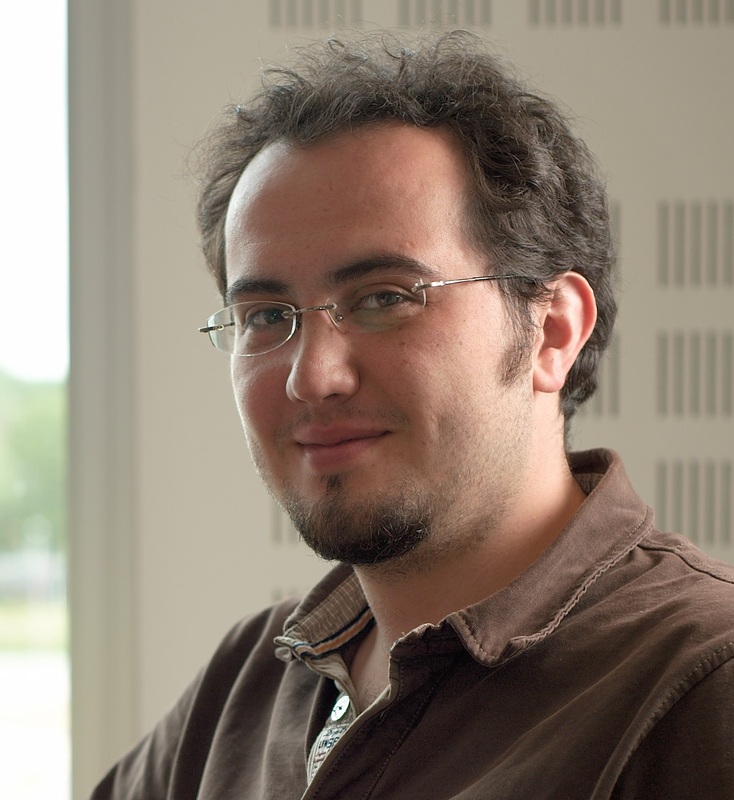 Zaidman has been interested in computer science and software in particular since he was a teenager, and that led him to earn a PhD at the University of Antwerp before becoming Associate Professor Software Engineering at TU Delft. His curiosity helped him appreciate the complexity of software, but also made him question why relatively little is being done to facilitate the testing of such complex systems. Software updates have become more common in recent years to the point that people have become accustomed to simply accepting them. These are, for the most part, to fix bugs that exist within the current software version,which seems quite strange to Zaidman. “If car manufacturers would have to recall all their cars to fix a mistake, the costs of the recall would be huge,” he argues. In contrast, the process of releasing software that works properly straight out of the box has decreased to the point that it has become a nuisance when a bug has been found and needs to be fixed. Testing software before its release is important, but undervalued by many. This could lead to costly errors such as the Ariane space vehicle blowing up within seconds after its launch or medication being applied in wrong doses. “It has become an intrinsic part in our lives, whether it is to pay at the cash register or to keep up with our social lives online,” Zaidman says. So why not test software? Zaidman believes gamification -essentially turning the testing process into a game that rewards good results based on identifying errors- could help make testing become fun again. It is a crucial part of the process and identifying mistakes will only help to improve the programmer and the software in the end – essentially using software to make software better. There were reportedly some issues with the heating system at the start of the event, but if anyone was still feeling cold after the performance of Drum Cafe, it was not for lack of trying by the band. Drum Cafe had the audience clapping, drumming, shouting and shaking to their hearts’ content. Stretching exercises were also included, and you were even encouraged to drum an ‘African massage’ on your neighbour’s shoulders. ‘To give every participant a new form of energy’ was their promise, and it certainly worked. Drum Cafe has been whipping up audiences all over the world since 1996, during conferences, but also at corporate events. According to Drum Cafe, drumming is the most effective team building activity. That may just be true. Drumming seems to be hardwired in our systems. Melodies and songs can evoke all kinds of emotions, but drums go straight to the heart and make you want to move along. “My story starts on the emergency strip of the A16 on the way to Rotterdam. I am panicking, I am afraid. I try to tell myself to take control but I cannot,” Zarayda Groenhart says. But she argues, surrendering to the panic helps tell the story. Groenhart is no stranger to Dutch audiences, having presented for several well-known television shows such as Try Before You Die and Who is the Mole, as well as being a journalist and columnist. Dissatisfied with the slow embracing of new concepts in the Dutch television industry, she created an online platform called The Why Girl, which later was picked up by the Dutch cable channel TLC. What is important according to her, is that people realize that it is important for people embrace the stories that they have within them. “If you have the courage to share that story, instead of destroying you, it is going to save you,” she explains. The story might be from a personal perspective or it may not be clear what the purpose of the story is, but what is important, she argues, is to acknowledge it. To give in to the chaos and let the story that you carry with you come out, so that you can be truly you. “I want you to understand that it is good to feel chilly,” Patrick Rensen says. Though there are different ways to burn calories, Rensen argues there is a fairly straightforward way to achieve this: lower the room temperature. 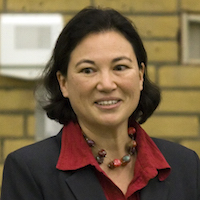 After having studied biopharmaceutical science Rensen became a Professor of Endocrinology at Leiden University Medical Center. Here he does research into the effects sugar and fat metabolism have on heart disease and diabetes. A recent discovery that brown fat is present in adults as well made Rensen, chairman of the Netherlands Lipoprotein Club, decide to find out more. “Fifty percent of the adults in the Netherlands are overweight, in the United States seventy-five percent are overweight” Rensen explains, which in turn can lead to obesity. Body weight is determined by the amount of calorie intake versus burning it. If someone eats more than he or she burns, that person is gaining weight. People take all sorts of measures to shed more calories, like sports or even geriatric surgery. However burning brown fat, Rensen argues, might be just as effective and all it requires is to lower the thermostat. Kicking off the entertainment for TEDxDelft 2015, we have Delft mozaiek running a series of mosaic-making workshops. And the theme today is The Sun, People attending TEDxDelft are invited to grab a handful of brightly coloured pieces of ceramic or glass or stone and make a piece of sun. In the spirit of building bridges between the university and the town, Delft mozaiek is embarking on a huge mosaic mural, underlining the many projects going on at TU Delft, including their famous Solar Powered Race Car, which won the World Solar Challenge no fewer than five times. Founded in 2010, Delft mozaiek is an award-winning community art project dedicated to covering ugly walls. 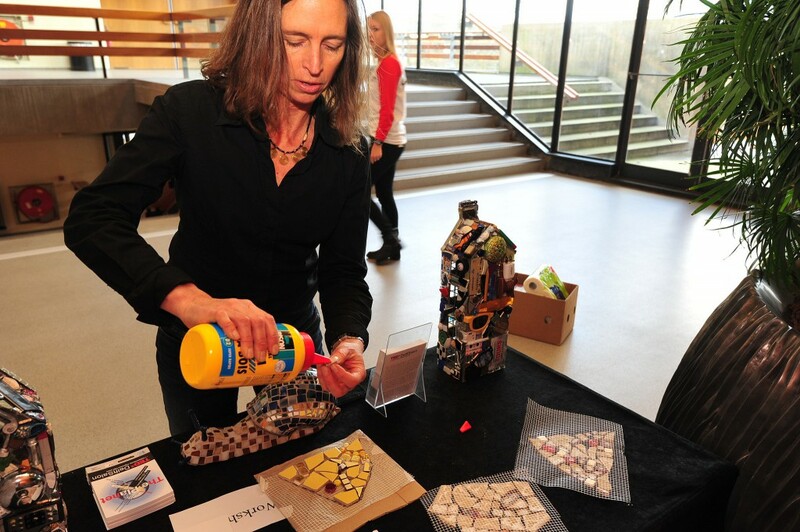 So if you’re at the TEDxDelft 2015 event and you’re feeling creative, make your way during the breaks to one of the mosaic workshops and you’ll be welcomed with open arms. Welcome to TEDxDelft 2015 | Let’s Make Things Beta! The TU Delft Aula Congress Centre is brimming with excitement as we are at the cusp of yet another spectacular event. From the Core Team to the volunteers, the speakers to their coaches, we would like to welcome you all to TEDxDelft 2015. Revolving around technology, humanity and ideas worth spreading, this year’s event brings together a myriad of perspectives and ground-breaking research. 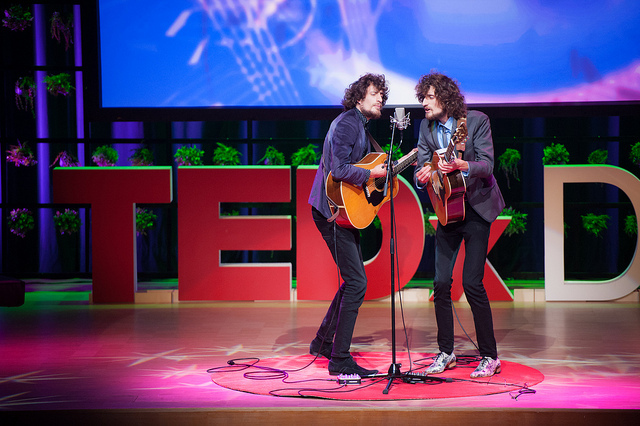 With an impressive line-up of speakers and live performances from world class performers, TEDxDelft 2015 is not just about great ideas but about taking those ideas and making them real. While we’re proud to announce that TEDxDelft 2015 is completely sold-out, those who are unable to make it can watch the livestream of the event from 14:00 onwards. Make sure to check-out our event program for our line-up of line-up of speakers and performers and practical information for the day. During the breaks, remember to get involved in our fun activities and side events at the Aula foyer. Now, sit back, relax, take part and soak in the experience. Welcome to TEDxDelft 2015!!! Let’s make things beta! https://www.tedxdelft.nl/wp-content/uploads/2016/02/TEDxDelftLogoWebsite.jpg 0 0 Girish Venkatachalapathy https://www.tedxdelft.nl/wp-content/uploads/2016/02/TEDxDelftLogoWebsite.jpg Girish Venkatachalapathy2015-02-27 13:55:012015-02-27 13:49:22Welcome to TEDxDelft 2015 | Let's Make Things Beta! TEDxDelft 2015 | Dress Rehearsals | Let’s Make Things Beta! With less than 24 hours to go, it’s all hands on deck getting everything absolutely ready for TEDxDelft 2015. And this year’s event is not just about spreading great ideas, it’s also about taking those ideas and making them real. After months of preparation, it’s the day of the dress rehearsal, so there’s an excited buzz around the TU Delft Aula Congress Centre as technicians, coaches, performers and volunteers make their last minute checks and tweaks, taking the spirit of the theme and turning TEDxDelft into a reality. There’s a calm excitement as our teams work together to make this year’s event truly unforgettable. 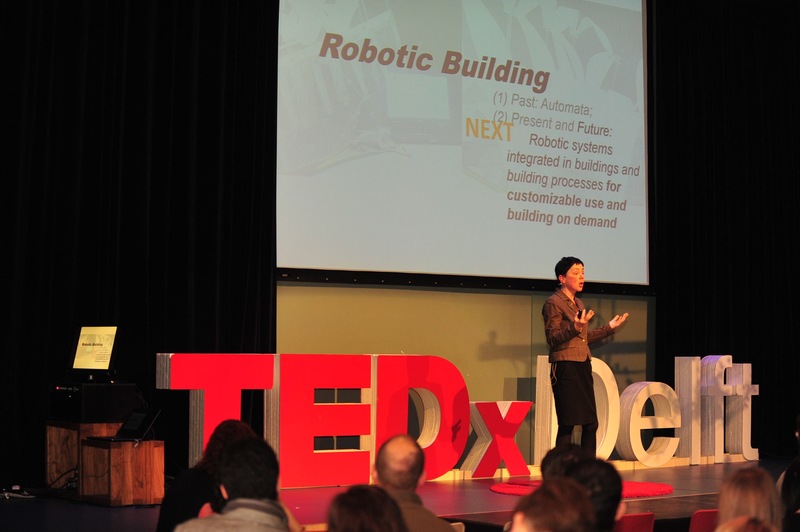 In fact, the TEDxDelft 2015 line-up features an impressive variety of speakers, all with wonderful ideas worth spreading. For instance, want to lose weight? Then turn down the heating! And this: the best way to design new kettle is to get input…from a kettle! Education is also a key theme as one of our speakers calls for a more creative approach to teaching math, while another argues for better software testing, eliminating bugs before they hit the market. Make sure to checkout our program for our line-up of speakers and practical information for the day itself. See you tomorrow for an unforgettable TEDxDelft 2015! Let’s make things beta! 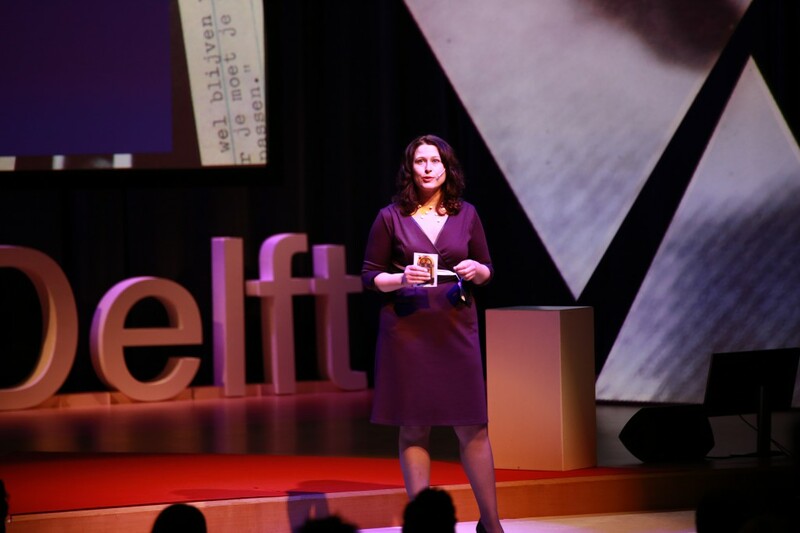 https://www.tedxdelft.nl/wp-content/uploads/2016/02/TEDxDelftLogoWebsite.jpg 0 0 Anne Blair Gould https://www.tedxdelft.nl/wp-content/uploads/2016/02/TEDxDelftLogoWebsite.jpg Anne Blair Gould2015-02-26 18:00:472015-02-27 11:23:31TEDxDelft 2015 | Dress Rehearsals | Let's Make Things Beta! TEDxDelft 2015 | Livestream | Let’s Make Things Beta! With only one day left before TEDxDelft 2015, we’re proud to announce that the event is completely sold-out. Fortunately, for those who wish to be there but are unable to make it, the event will be live-streamed from 14:00 onwards. Simply click on the link below. 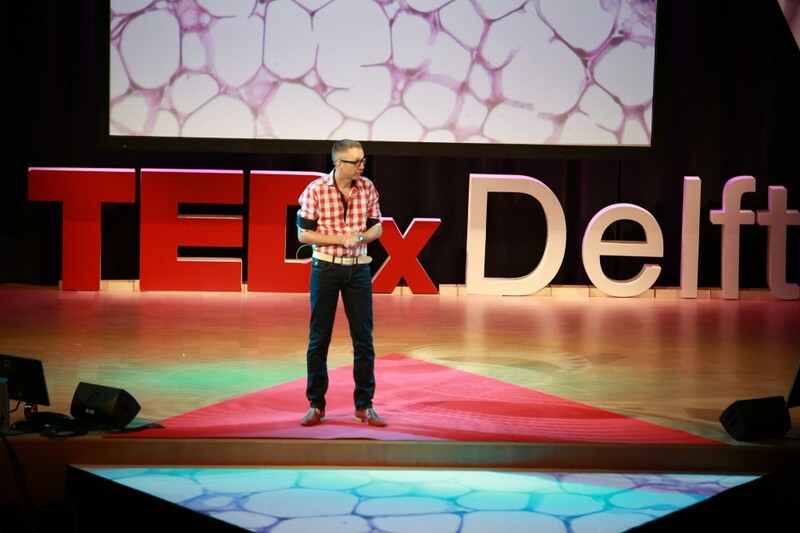 https://www.tedxdelft.nl/wp-content/uploads/2016/02/TEDxDelftLogoWebsite.jpg 0 0 Pierre Mathieu https://www.tedxdelft.nl/wp-content/uploads/2016/02/TEDxDelftLogoWebsite.jpg Pierre Mathieu2015-02-26 13:00:442015-02-26 14:44:30TEDxDelft 2015 | Livestream | Let's Make Things Beta! TEDxDelft would not take place if it were not for the support of our outstanding sponsors. They share the spirit of TED’s mission of “ideas worth spreading”. Improve is a team of dedicated designers and technicians that can execute your dream event with precision. Our designers use their vast array of knowledge ranging from business processes to science and culture to AV technologies in order to bring your message across through a 3D virtual experience. For the last 30 years, we have crystallized our clients’ messages through specially-designed content, 3D video mapping, provocative décor with unusual furniture, theatrical light and sound design to inspire your audience with the essence of your message. With our artistry, technical expertise and a focus on your goals, we create a visual experience that will take you to the next level. Together with you, we create events that exceed your expectations and create lasting memories. 3. Why did you choose to sponsor TEDxDelft? 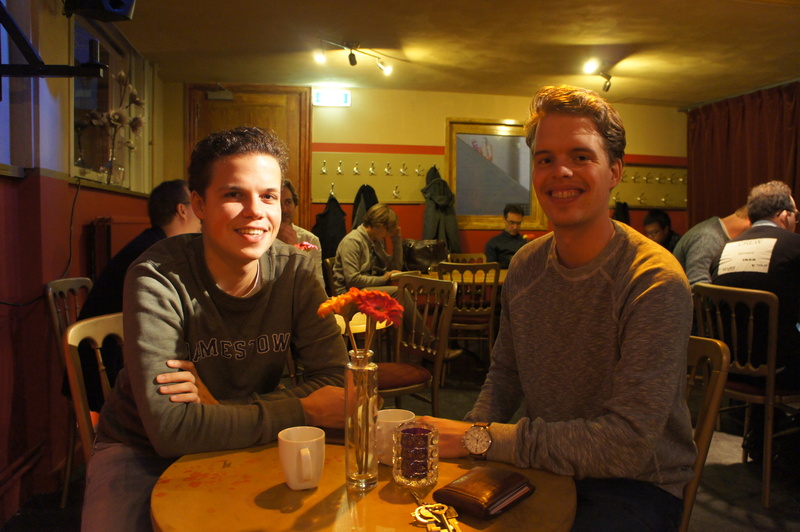 When TEDxDelft first started, they were looking for partners to get the event going. We likde the TED concept, especially because it’s ideas worth spreading and we like to support these ideas with images, lighting and sounds in a showy way. The idea is not just the idea of the talk, but it also includes all the other assets we have for non-verbal communication. And that is what we do at our company. We support presenters with a little bit of performance coaching and coaching them with their visual images. So we like to create an atmosphere where presenters go beyond themselves. 4. What do you see in common between your company and TEDxDelft? We are a company that is always looking for new ideas and we try to work with these ideas ourselves. When this event came by and it was about ideas worth spreading, we, of course, liked that very much because, in Improve, we also do the same thing. We like to make bridges between people and we do that by making shows and events with sound, light and images. 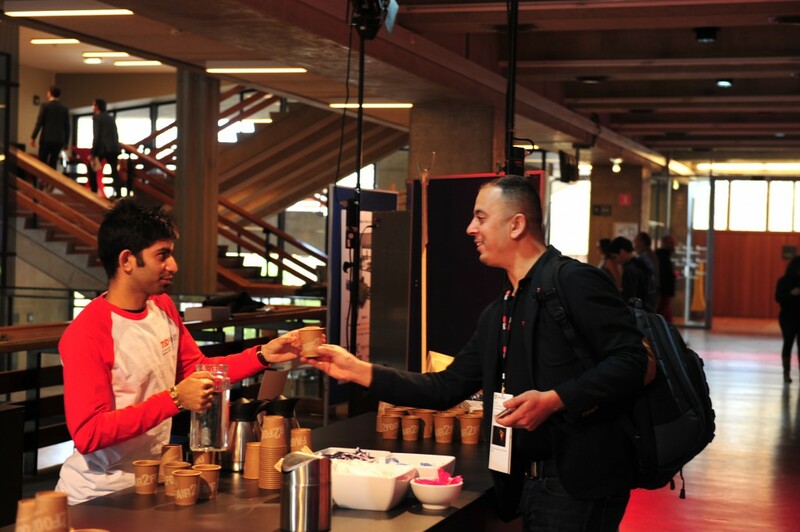 Interested in being a sponsor of TEDxDelft 2015? We engage the local community by inviting people and companies to contribute whatever skills, goods or funds they are able to share. It is our belief that the TEDx concept is such an inspiration to so many people because its partners contribute whichever they are good at. If you feel you or your company can relate to TEDxDelft don’t hesitate to contact us. 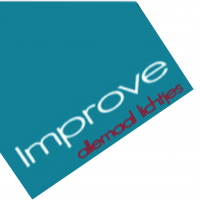 TEDxDelft 2015 | Practical Information | Let’s Make Things Beta! Registration starts as early as 13:00 and seating will take place at 13:45 onwards. The event will officially starts at 14:00, but it always best to come early. Should you arrive late, you can watch the event in one of the designated live streaming room until the break ensues. 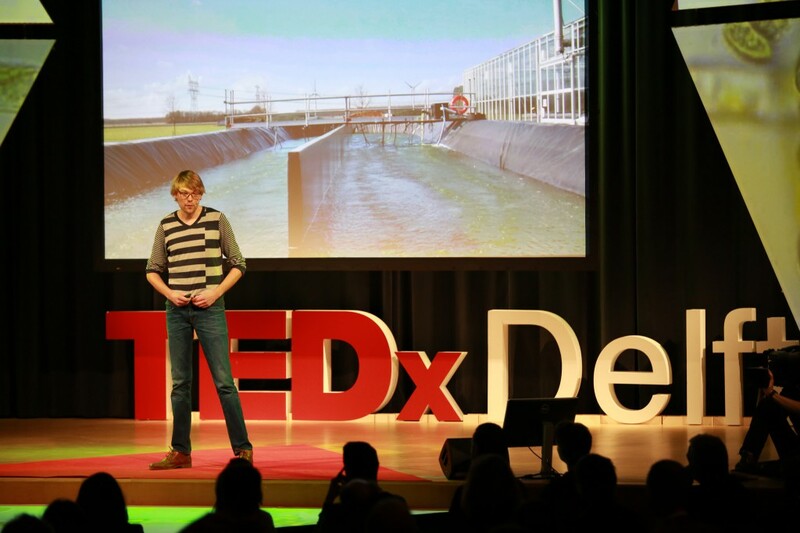 TEDxDelft is striving to reduce its environment impact. The TEDxDelft crew will be more than happy to scan your ticket from your mobile device. Do come in whatever your most comfortable with, but be mindful and dress casual. 9292ov.nl is an extremely handy application that helps you to manage your public transport travel itinerary. It will provide the most reliable alternative, which includes the NS supplementary buses to Delft. Use “TU Delft Aula” as destination. Due to the disruption trains services along the Den Haag-Delft-Scheidam stations, guest traveling from outside of Delft will have to take a NS bus from the Den Haag Centraal, Den Haag HS or Rotterdam Central Stations. 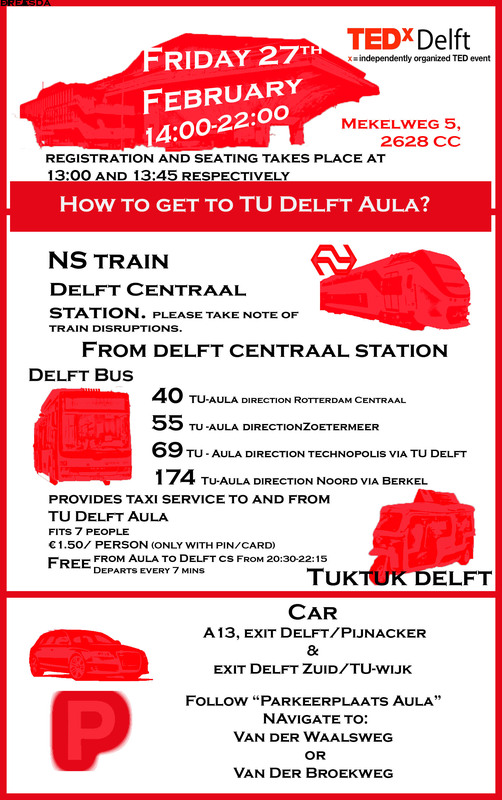 Proir to the event, you can take a Tuktuk from the Delft South Station to the Aula. The cost is €1,50 per person. You can pay the driver with your card/pin. In the evening, TEDxDelft provides free Tuktuks for visitors to the Delft Central Station. From 20:30 until 22:15 a TukTuk will depart every 7 minutes. Get on A10 toward DenHaag/Utretch. Take A4/E19 to Oostpoort Weg in Delft. Take exit 9-Delft from A13/E19. Take Julianalaan, Mijnbouwstraat and Michiel de Ruyterweg to Mekelweg. Get on A13 towards Delft. Take exit toward Delftechpark/Delft/Wijk from N470. At the Aula Congress Center, certain amenities are available during the day. These include a free coat-check and wi-fi. 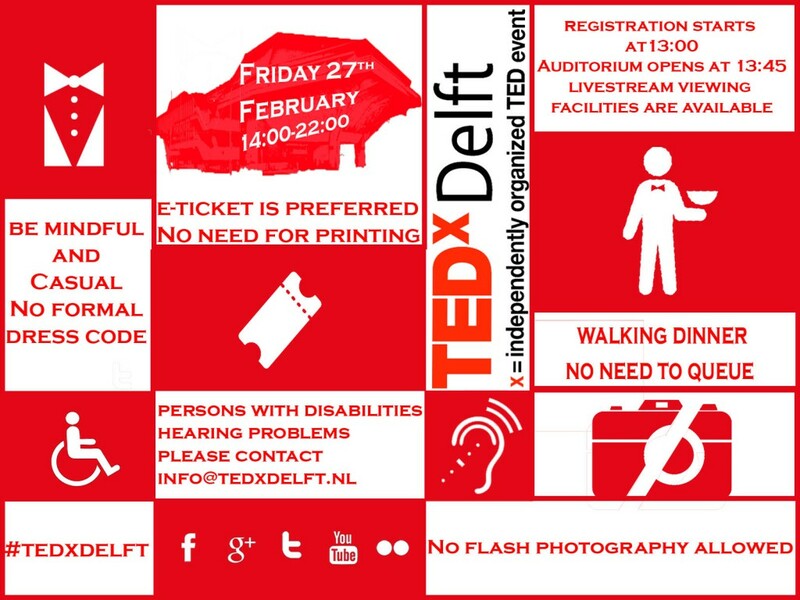 For guests requiring special assistance such as physical disabilities or hearing difficulties, kindly send an email to info@tedxdelft.nl before the event and we will pick you up at the entrance. If there is a burning urge to capture an image of the speaker on the stage, please refrain from using the camera flash as it may disrupt the performance. 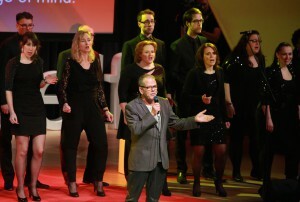 https://www.tedxdelft.nl/wp-content/uploads/2016/02/TEDxDelftLogoWebsite.jpg 0 0 Hardi Njo https://www.tedxdelft.nl/wp-content/uploads/2016/02/TEDxDelftLogoWebsite.jpg Hardi Njo2015-02-24 18:00:082015-02-27 11:20:49TEDxDelft 2015 | Practical Information | Let's Make Things Beta! 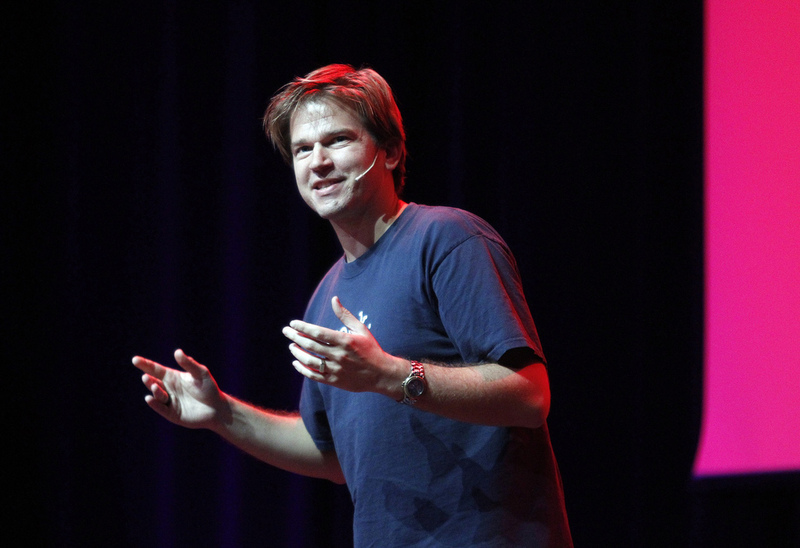 He’s been called a Mcgyver scientist for his ability to think out of the box in a tight spot and come up with innovative, often fun solutions for any kind of situation. It stands to reason then that Rolf Hut won’t be a by-the-script kind of host. Hut, a researcher at the CiTG Faculty at TU Delft, is looking forward to interacting with the speakers and being inspired by the moment. In 2012 and 2013, Hut worked on side events with TEDxDelft that were in keeping with his own ideas, from making boats out of a scrap heap to challenging students to build their own trams. “They were both terrific days and a we got a good response from students,” Hut admits. If you want to catch the repartee between Hut and the TEDxDelft speakers or see what surprises he has in store, then join us at this year’s TEDxDelft event at the TU Delft Aula Congress Centre on February 27, 2015. GET YOUR TICKETS NOW! | TEDxDelft 2015 | Let’s Make Things Beta! TEDxDelft is back! This time, it’s bigger and better than ever. Featuring an impressive line-up of speakers and ideas worth spreading, it’s that time of the year again to be inspired by some of the brightest and most passionate minds who are shaping ideas into reality. This year, TEDxDelft will be held on Friday, February 27, 2015 at the TU Delft Aula Conference Centre, from 14:00 to 22:00. Participants will get the chance to discover extraordinary, groundbreaking ideas, enjoy great entertainment and participate in various workshops and other activities. 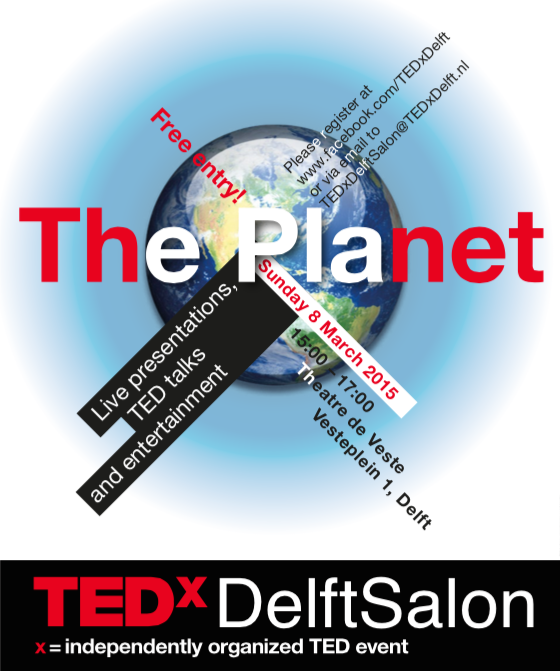 Tickets are available online via the TEDxDelft website or at the Tourist Information Point (Kerkstraat 3) in Delft. Exploring how ideas become reality, the theme of TEDxDelft 2015 is “Let’s Make Things Beta”. This year’s conference is not simply about great ideas, but about taking those ideas and making them real. After all, a great idea deserves to be shared with the world. With only a few days left until the big event, TEDxDelft promises to be a truly unforgettable experience. https://www.tedxdelft.nl/wp-content/uploads/2016/02/TEDxDelftLogoWebsite.jpg 0 0 Girish Venkatachalapathy https://www.tedxdelft.nl/wp-content/uploads/2016/02/TEDxDelftLogoWebsite.jpg Girish Venkatachalapathy2015-02-21 14:54:522015-08-01 06:35:05GET YOUR TICKETS NOW! | TEDxDelft 2015 | Let's Make Things Beta! 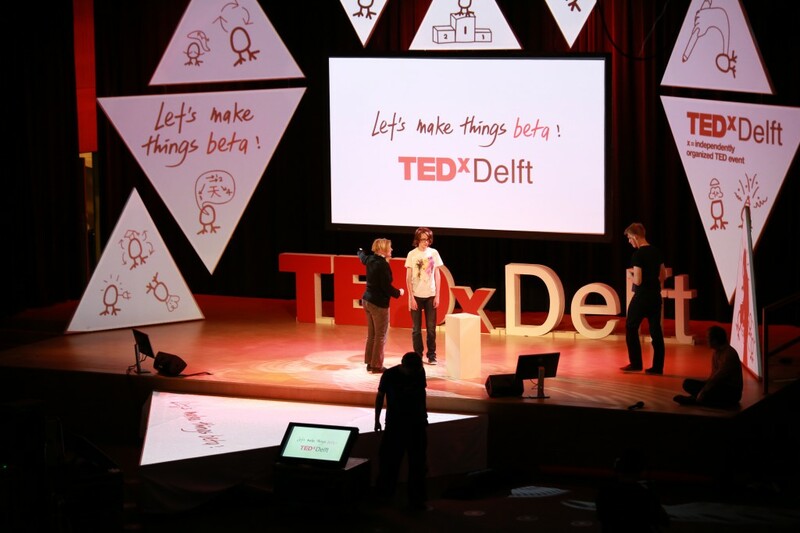 Event Program | TEDxDelft 2015 | Let’s make things beta! 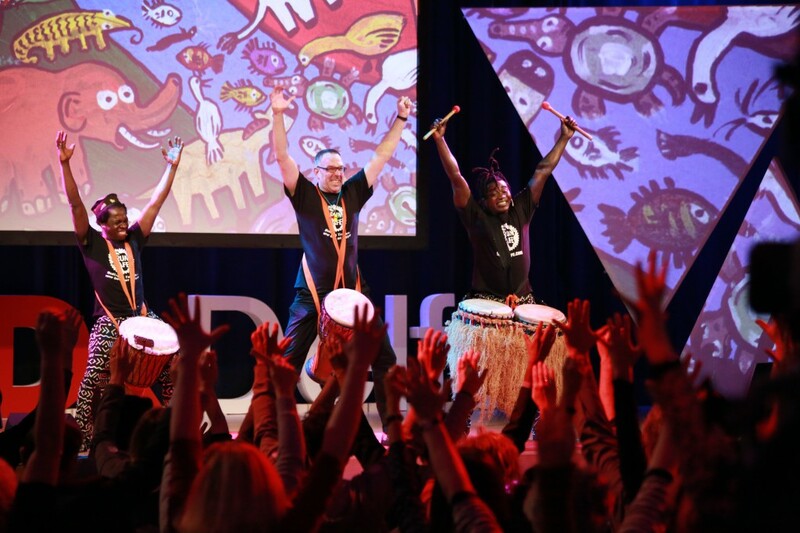 With an impressive line-up of speakers, performers and ideas worth spreading, TEDxDelft promises to deliver another spectacular event at the TU Delft Aula Congress Centre on February 27, 2015. This year’s event is not just about great ideas, but about taking those ideas and making them real. After all, a great idea deserves to be shared with the world. 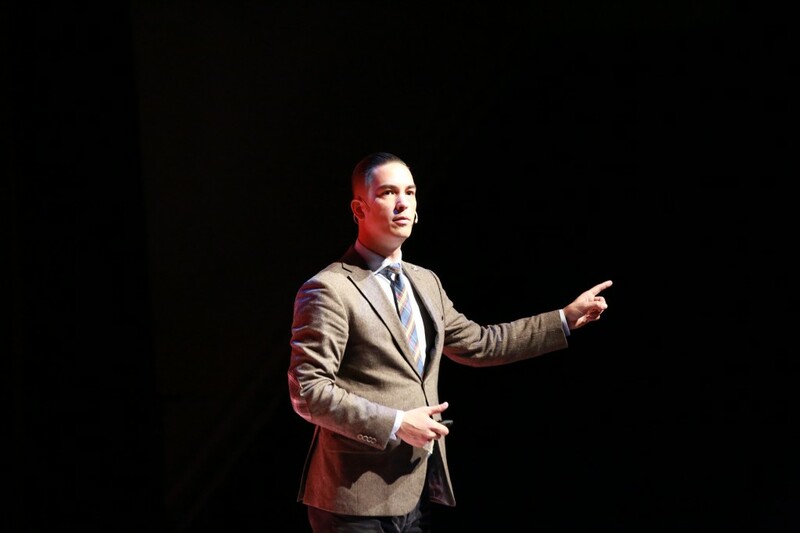 https://www.tedxdelft.nl/wp-content/uploads/2016/02/TEDxDelftLogoWebsite.jpg 0 0 Phillip Gangan https://www.tedxdelft.nl/wp-content/uploads/2016/02/TEDxDelftLogoWebsite.jpg Phillip Gangan2015-02-19 15:00:282015-08-01 06:35:15Event Program | TEDxDelft 2015 | Let's make things beta! Originally from Breda, Hilda Ruijs is a student at the Delft University of Technology, currently pursuing a degree in Industrial Design Engineering. Her biggest hobby, however, is playing and composing her own music. As a matter of fact, the singer-songwriter was recently selected as a finalist for the BN DeStem Culture Award. Currently, Ruijs is in the final year of her Bachelors program and plans to find an internship at a small design firm in the upcoming months. Eventually, she wants to pursue a graduate degree in Industrial Design Engineering or apply to music school to become a professional songwriter. In the future, Ruijs hopes that her passion for music will not remain to herself, but that she will be able to share it with as many people as possible. 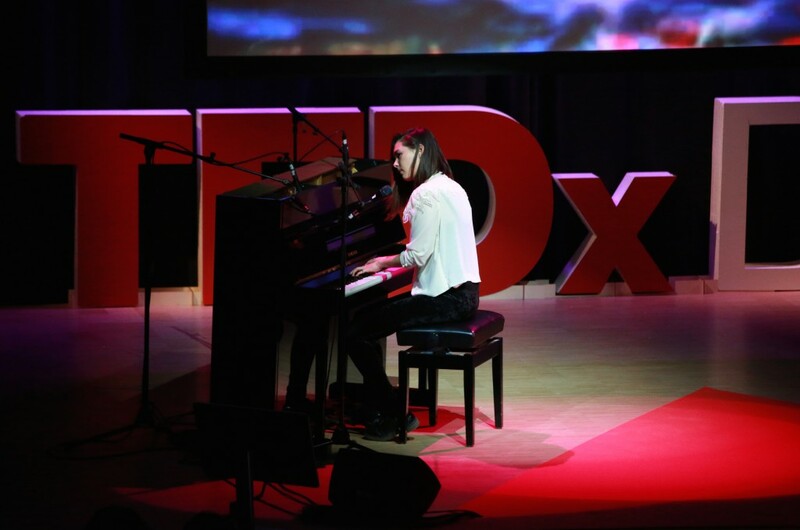 Performing at this year’s TEDxDelft event, Ruijs will have the opportunity to her showcase her creativity and musical talent with everyone in the audience.